The world's best-known cryptocurrency has continued its dive, with other digital currencies also taking a hammering. Bitcoin's development in recent days prompted one analyst to speak of a "cryptocalypse." Bitcoin slid to $10,000 (€8,180) Wednesday for the first time since December of last year, leaving the cryptocurrency down by close to half of its peak hit last month. The largest and most prominent digital currency shed another 11 percent to drop below yet another psychologically important threshold on the Luxembourg-based Bitstamp exchange. Wednesday's fall was the continuation of fierce selling activities on Tuesday which also spread to alternative digital units, with Ethereum, Ripple and Litecoin all losing about a quarter of their value. AxiTrader market strategist Greg McKenna talked about a "cryptocalypse "with Bitcoin and other virtual currencies coming under heavy selling pressure." 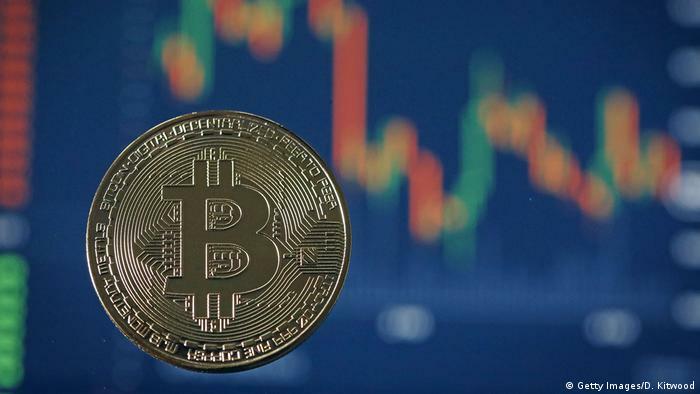 BTC touched a peak of almost $20,000 last December, but has since been roiled by several large sell-offs amid fears of policymakers' further moves to regulate cryptocurrencies and Bitcoin in particular. But ASR Wealth Advisers' equities expert Shane Chanel said "not all hope is lost." "The cryptocurrency market is privy to wild swings and seasoned veterans in this space have seen this happen many times previously." "I'm not saying it couldn't be different this time, but every major correction has been followed up by a rally more powerful than the last."